Between the gorgeous fashion and breathtaking views, I had a fabulous time at the NYFW Night of Envision Fantasies and Fashion. The show was held at the Sky Room NYC rooftop lounge which overlooks New York City. The fashion show debuted fashion stylist Monique Obeze’s wardrobe, the CEO & Founder of House of Style By Monique. Each model wore a fashionable outfit and piece including a signature mask. When she’s not modeling, Shyla does the makeup for different fashion events. She’s traveled from her hometown to do makeup jobs in Texas and even traveled to New York to do for makeup for New York Fashion Week. While she does all sorts of makeup, her favorite is special effects makeup. Her craziest makeup experience was when she made it look like a dart was stuck in somebody’s arm – with blood and all. Black leather is her go to outfit. Her style is edgy, grungy and chic. You can find her wearing a black leather jumpsuit one day and a poodle skirt the next. She’s obsessed with chocolate, tattoos, shoes and most importantly unicorns. Her superhero is Harley Quinn. If she could walk down the runway with any celebrity, it would be Little Wayne, one of her favorite artists. Shyla modeled on the cover of Glitz Magazine. She has also modeled for pinup shoots at John Gladman’s Photographer’s Convention. I had the honor of being one of the show judges for the PLITZS Fashion Marketing’s 2017 KIDS Fashion Democracy show & the Model of the Year Competition. It was a fantastic experience. Each model brought their own style to the runway. As a judge, I was looking for the models that really captured the essence of what it is to be a model. I focused on each model’s walk, posture, energy, outfit and air of confidence. Walk – It’s important to have a strong walk. If not, it could be extremely distracting to the audience. For example: walking too fast or too slow, randomly stopping in the middle of the runway and flailing your arms back and forth can all take away from the moment. Posture – You want to keep your posture straight. Good posture often gives off a good impression in the fashion world. Energy – The energy a model brings to a fashion show is essential. You want to give off a positive vibe through your facial expressions and body language. Outfit – Each model showed 3 outfits: a white shirt & jeans, a bathing suit and evening attire. For these fashion shows, picking the right outfit which fits you well only enhances your overall appearance on the runway. Confidence – Confidence is key. I want to see that you feel comfortable in your own skin while walking on the runway and keeping that confidence while posing in front of the camera. The shows took place in the heart of Manhattan at Hotel Pennsylvania on January 7th. PLITZS Fashion Marketing connects the fashion world to diversity, affordability and creativity. For more information about PLITZS Fashion Marketing, click here. You can also follow them on Instagram here. With New York Fashion Week less than a month away, staying in shape is important for your mind, body and soul. Yoga – Grab a yoga mat and join a class at your local yoga studio. Dance – Get up off the couch and start dancing! Join a hip-hop, salsa, ballet, Latin, ballroom or jazz dance class…just to name a few. Join a sports team – There are intramural teams and sports clubs that have various sports such as volleyball, tennis, basketball, baseball, soccer and/or hockey. Work out at the gym – Do you even you lift? Lift weights, run on the treadmill and finish your work out with a swim in the pool. Winter sports – ‘Tis the season to hit the ski slopes and the ice skating rinks. There is of course snow tubing and sledding for those of you who just like to play in the snow. Kate Citrone is a professional model who has been on the runway too many times to count! She has modeled all over the country including L.A, Savannah, N.Y.C, Orlando & Miami. Being on the runway gives her a rush of adrenaline and makes her feel more alive! Her biggest tip on conquering the runway is to make sure the audience is satisfied. “Your goal is to make the whole room fall in love with you,” she says. Kate’s dream is to become a high fashion international runway model! She wants to be on the runway every day for the rest of her life! Her next modeling goal is to walk the runway for the London, Milan and Germany fashion shows. If she could walk down the runway with any famous model, it would be with Tyra Banks or Naomi Campbell. When Kate is not modeling, she is watching a Harry Potter movie or an episode of the Outlander series. If she could be in a movie, she would be in a action movie where she would be a spy or carry a sword like in the Underworld Series! Kate’s style is casual. She wears blue / black skinny jeans, a tank top, combat boots and lace-up sandals. Kate collects choker necklaces and anything related to Mickey Mouse! Her favorite desserts are strawberry cheese cake and Ben & Jerry’s chocolate fudge brownie ice cream. If she could be a fruit or vegetable, she would be a zucchini because they make good pies! Want to be featured on New Style Modé? 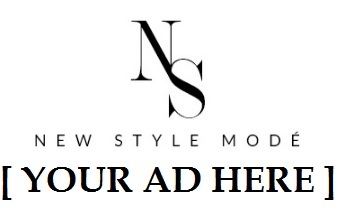 Email thenewstylemode@gmail.com or direct message@newstylemode on Instagram to apply. Please include your contact information and a direct link to your photos. Author newstylemodePosted on December 16, 2016 Categories UncategorizedTags art, beauty, blog, blogger, dresses, entertainment, family, fashion, featured, holiday, inspiration, instagram, life, lifestyle, makeup, motivation, style, tips, travelLeave a comment on Be featured.